Things began to turn around for good after Immortalhd abandoned his college studies to fully pursue a career online. Though it took the twitch streamer a lot to grow his game and amass loyal fans, his hard work and effort eventually paid off after some of his interesting contents went viral. Over the course of his career, Immortalhd has met a lot of notable online personalities. On several occasions, he has collaborated with some of them and it’s been nothing short of stunning. Besides having an amazing personality, there are other interesting things people don’t really know about the twitch streamer. You’ll get to know them all in this article. Bio, Age – Who is Immortalhd? If you think Immortalhd was originally born in the United States of America, you are not alone. Being a fluent English speaker, most of his fans don’t really know that the internet sensation is originally from Vladivostok, a city in Primorsky Krai, Russia. He was born in the town on 1st September 1992. Popularly known by his channel’s name Immortalhd, the twitch streamer’s real’ name is Aleksandr Vitalyevich Tchernev-Marchant. He was raised in his home town until the age of eight when he left the region to the United States of America, where he was adopted and raised in Colorado. Upon completing his high school studies, the twitch streamer was enrolled at a university to study graphics but Immortalhd dropped out after some time to start up an online career. The online sensation’s love for gaming dates back to his younger age when he started playing games such as Call of Duty and Hallo. He was inspired to start putting together his personal video contents after watching elite gamers such as Coutra and DigitalFear. He eventually launched his professional career by playing Team Fortress 2 in the year 2007 on his Xbox, after which he partnered with the U.S-based online network Machinima and created Halo content for the company. Sadly, Immortalhd lost his account to hackers and in the process lost many of his contents. On December 2008, the twitch streamer came up with another channel titled: Immortalhd, where he kept uploading his videos. It was during this period that he became close to SlyFoxHound and eventually created several series with him. Immortalhd was inducted into a gaming group called The Creatures at the 2013 RTX panel. The group, which has Jordan Mathewson (more commonly known as Kootra), Joe, and Aron as its members, basically produces comedy and gaming contents. 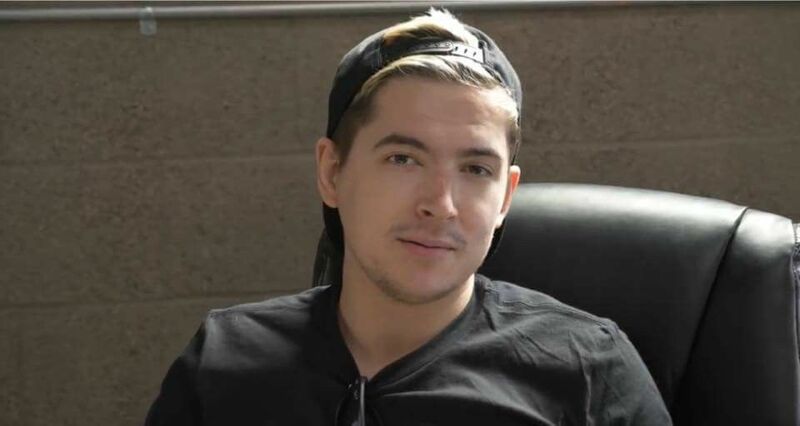 However, Aleks and the rest announced on April 28, 2016, that they have left The Creatures to join a Let’s Play and comedy channel known as Cow Chop. Though Immortalhd’s are generally entertaining, however, THE RUSSIAN- Counter-Strike: Global Offensive, League of Legends In 30 Seconds, and Nobs 4 Lyf – Music Video ft. Brother Blake are some of his most captivating videos. While his main channel has more than one million subscribers, his collaborative channel, Cow Chop, has amassed more than nine hundred subscribers as of September 2018. The Russian native has a cat named Celia and a pet dog named Mishka. Currently, Immortalhd is not dating any girl but he has previously had some flings with some ladies in the past. His first known relationship was with a dental assistant and YouTuber Tiffany Kudrikow. The pair reportedly called off their relationship in the year 2013, after which the twitch streamer found love again in the arms of Dominica Baczek. After dating for a couple of months, Dominica and Immortalhd called it quits for reasons yet to be disclosed. Unfazed with his two failed relationships, the YouTuber kept pushing through until he met another girl called SJ (known as Vindictive on Twitter), who became his girlfriend. However, their relationship only survived for a few months. Following the heartbreak, Immortalhd published several videos on his past relationship with his girlfriends. He later announced that he was moving to Los Angeles, California. Since then, he has not been in the news for dating any girl. Immortalhd basically makes his money online, especially from adverts on YouTube. According to sources, he receives 200 thousand dollars as salary while his net worth, which is bound to grow in the near future, is pegged at $600,000. The Russian-born online influencer hasn’t really publicized information about his height, weight, and body measurements. What we know, from his pictures, is that he is of average height. However, a website dedicated to him reported that he is 5 feet 10 inches tall.